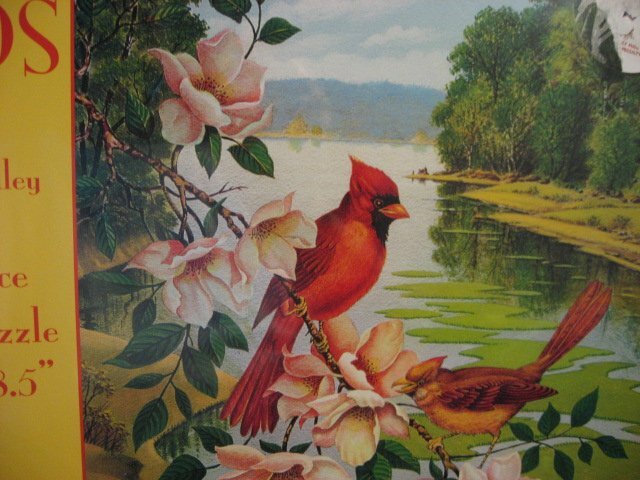 Cardinal red birds and Magnolia flowers puzzle 550 pieces Real pretty bird puzzle. 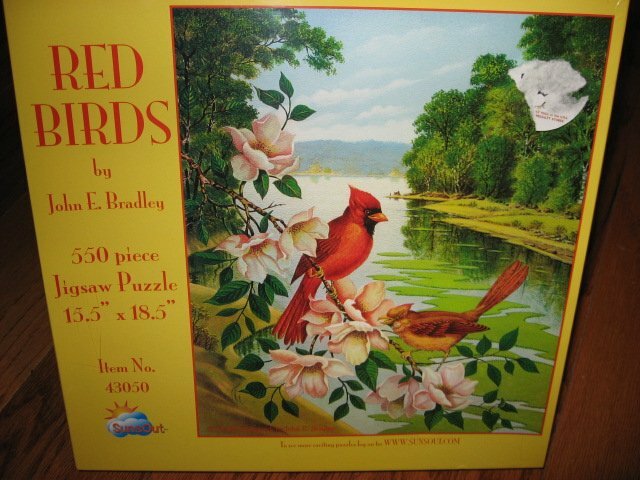 Finished puzzle measures approximately 15 1/2" X 18 1/2". Sealed and in Gift giving condition.